It’s dark, it’s cold, and as I’m a classic test case in environmental psychology, I’m grumpy. So here comes another commentary on the news. When it warms up, things will be different around here; I promise. Regardless, this is something we all need to know about. Today, the Indigenous Environmental Network sent this Ecologist article my way: How Dow and Monsanto teamed up over ‘Agent Orange’ herbicide, by Richard Schiffman. 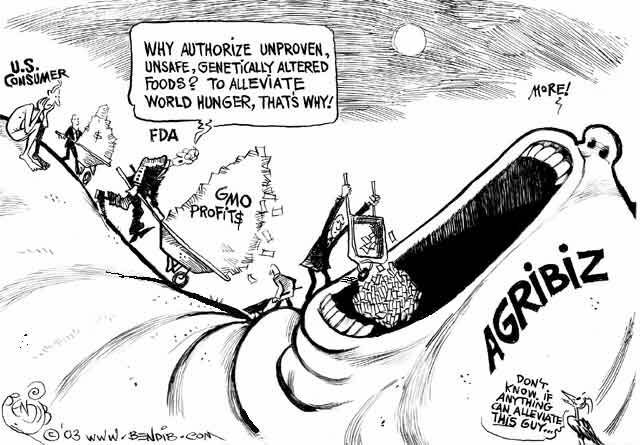 Why should we care about the shenanigans of Monsanto and Dow? What’s the problem? In a nutshell, the problem is that strong chemical herbicides, over time, goad the ‘weeds’ into growing stronger. So then farmers have to keep buying more, and stronger, poisons. These harm the water and every being who drinks of it including migrating birds and wildlife; the bees and other pollinators, the farm workers, likely their own children – and the crop, which you will buy and eat. So farmers have to then buy expensive GMO crop seeds that are strong enough to withstand these toxic herbicides, the sale of both benefiting… guess who?! And by the way, guess who manufactures anti-cancer drugs as well? For small farmers, it’s an economic disaster. They can no longer use their own native seeds, ones that may have been passed down in their families for generations and are also, of course, free of charge, unlike Monsanto’s patented monstrosities. Farmers in India are going to the poorhouse because of that vicious cycle. Thinking they were buying pest resistance, they didn’t realize they were instead indenturing themselves to an ever-increasing use of pesticides and the purchase of patented seeds. If GMO crops accidentally contaminate the fields of neighboring farmers through wind, birds, bugs or genetic drift, these farmers then not only have to deal with the health consequences plus business consequences if the farm happens – er, happened – to be organic, but to add insult to injury, they have to pay Monsanto for patent infringement. Check out Canadian farmer Percy Schmeiser’s story: it will curl your hair. It seems the joke slogan is, horrifyingly, coming true: No Food Shall Be Grown that Monsanto Don’t Own. Further, think about this: genetic engineering is the largest uncontrolled biological experiment ever perpetrated on this planet. We have no idea what effects genetically modified organisms (GMOs) have, or will have over time, on our own health or the health of the ecosystem. Some scientists now suspect that GMOs may be playing a part in the vast “colony collapse” deaths of America’s honeybees. But we can still say “no.” In 2004, Mendocino county, California officially banned the cultivation, production and distribution of GMO crops, and more places are following. Boulder County, Colorado, where I now live, is in negotiation about it. The entire country of Hungary took that bold stand, and to show they were serious, they destroyed 1000 acres of maize found to have been grown with GMO seeds after they were banned. Many farmers didn’t know these seeds were GMO, and were shocked. Mexico’s heritage corn is in danger of being permanently contaminated by GMO corn, and they have banned most seeds like Hungary did. Reportedly, Japan wants to as well. But the free trade agreements (FTAs) Japan and Mexico have with the USA keep that from legally being possible: they can’t refuse corn seeds destined for our dinner tables. -Yet. Let’s start taking care of our own and the planet’s health instead of the chemical company guys’ wallets. 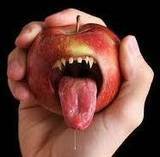 Stand up and display political defiance of Monsanto and genetically modified foods. Demand labeling at least, for now, so we can have the possibility of making an informed choice about whether we wish to eat their products. And on the everyday front, please buy and grow organic. It is really worth it. *** UPDATE 5/24/13: See my related blog post, March Against Monsanto, which contains a link to a full-length YouTube film describing in much more detail why we should be concerned about GMOs. You have undoubtedly heard about the trouble honeybees are facing – every year, entire hives of them are suddenly found dead. And the numbers are mounting. Their loss would mean much more than the obvious downer of no longer having delicious honey to eat. Bees are essential pollinators that much of the food chain depends upon. In other words, if we want to keep eating the way we do now, we need the bees to keep working with our plants. Scientists struggle to understand what’s behind the sudden death of bee colonies. It’s likely that there is no single cause – no “point source” but rather a more complex matrix of sources that, blended together, create a toxin. This is quite common in systemic diseases – and that very complexity makes it difficult to prove any single source dangerous enough to ban. Thus we get weird cancers, allergies, autoimmune diseases like rheumatoid arthritis and Graves’ disease and chronic fatigue syndrome and Alzheimers. I’m talking about bees, yes, but our health is dependent upon the same clean system as theirs is – plus we humans are also partially dependent upon the bees. According to Credo action network, there is mounting evidence suggests that one critical factor may be a particular, widely used, class of pesticides. You might also write a letter to Bayer telling them you will no longer purchase their products until this pesticide is withdrawn and they stop the nasty practice of covering up real impacts with their own sketchy, in-house, so-called “scientific” studies. Really, can you think of anything closer to evil than a company that manufactures health-care products also knowingly manufacturing something that instead creates widespread death – and then covering up that fact so they can continue to make more money on it? We must raise our voices and our wallets against such unethical corporate practices. Such practices must be stopped – before it’s too late. If you feel bad about seeming confrontational, remember this: the corporate people will benefit too. All beings need a healthy planet more than anything else, even CEOs.